NASA is no longer planning the first all-female spacewalk this week, which addresses problems with sizing space suits. 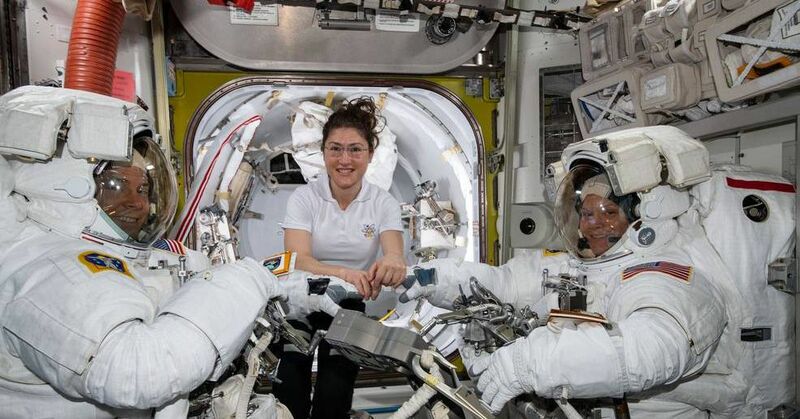 Originally, NASA astronauts Christina Koch and Anne McClain were due to replace batteries outside the International Space Station (ISS) this Friday, which would have been a historic event. Now NASA has decided that the astronaut will take Nick Hague McClain's place. The space agency says the problem has to do with the types of spacesuits available on the ISS. After a successful spacewalk with Hague on Friday, March 22, McClain realized she was best suited to wear a suit with a "medium-sized, hard upper body" instead of a large one. According to a NASA spokesman NASA has at least two medium-sized space suit torsos on the ISS, but only one of them will be ready on Friday for the upcoming spacewalk. NASA decided that Koch and The Hague will be wearing the suits that are already available, rather than redesigning the spacesuits before Friday. Before the swap, Friday's spacewalk was to be conducted by women both in space and on the ground. Kristen Facciol of the Canadian Space Agency announced that she would be on the console for the excursion, while Mary Lawrence and Jackie Kagey would act as lead flight controllers and lead spacewalk flight controllers, respectively. It does not seem that NASA will make another spacewalk for women in the near future. ISS astronauts will conduct a total of three spacewalks in March and April to replace aging nickel-hydrogen batteries with new lithium-ion batteries. Following the spacewalk next Friday, McClain is likely to perform the third spacewalk with Canadian astronaut David Saint-Jacques on April 8 to install patch cords. However, NASA says it has not completed the allocations for this spacewalk so things could change. It is unclear when a spacewalk will only take place with women. The first woman ever to take a spacewalk was cosmonaut Svetlana Savitskaya, who worked in front of the Soviet space station Salyut 7 in 1984. 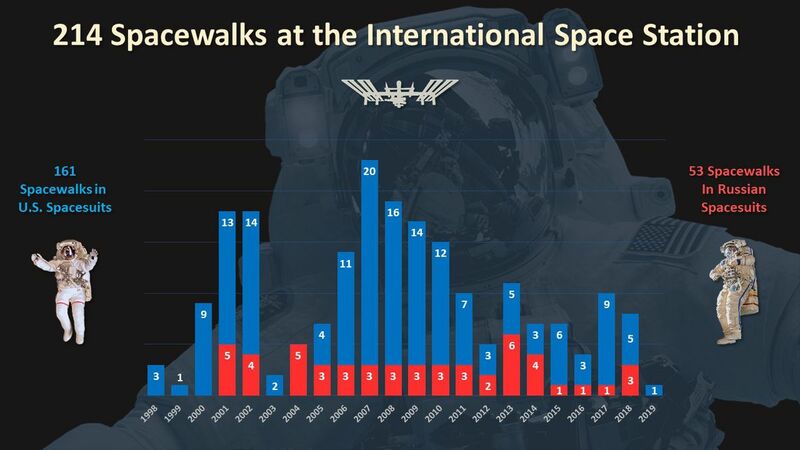 Since then, only 12 women have taken the spacewalk, and Koch becomes the 14th Spacewalker on Friday. According to NASA, since 1998, 214 spacewalks have taken place on International Space Station I.
Update March 25, 7:20 pm ET: This article has been updated with new comments from a NASA spokesperson.